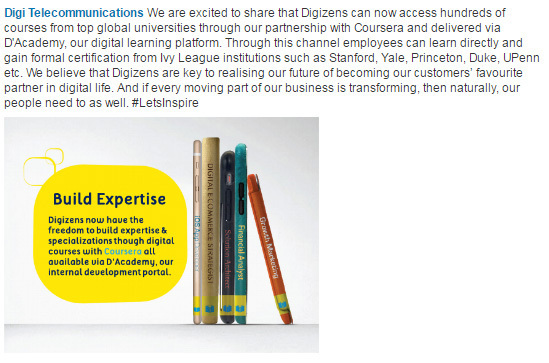 Digi Telecommunications has announced a new learning program that opens up Coursera to all employees (Digizens) allowing them to access “hundreds of courses from top global universities” via D’Academy, its digital learning platform. This move is part of a trifecta of L&D investments, i.e. Coursera for expert specialisations; Udacity for tech nanodegrees; and Lynda.com for YouTube style byte-size playlist learning, Animesh Mukherjee, head – HR centre of expertise at Digi Telecommunications told Human Resources. To find out more, Human Resources reached out to Marcus Lim, digital learning specialist, Digi Telecommunications. 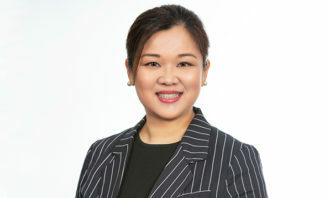 “In order to support our ongoing transition from being a telco company, to a digital services provider, we have to ensure that Digizens have the required skill sets to strengthen the core business and build a foundation for digital,” Lim said. 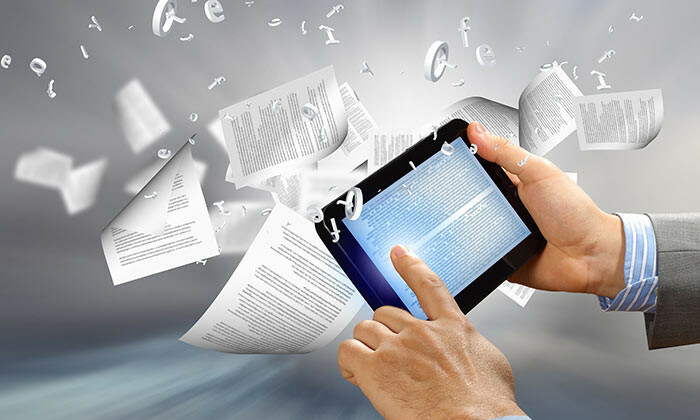 Digi decided to do so in three steps – orientation, hard skills and expertise. Under ‘orientation’, Digi partnered with Lynda.com to guide and develop understanding amongst Digizens on various emerging digital business areas. When it comes to hard skills, it partnered with Udacity to provide seven different career paths to Digizens by giving them hard skills via Udacity’s nano-degree programmes. Finally, Digi is enabling Digizens to accelerate their learning through expert specialisation programmes in Coursera from top universities such as Stanford, Yale, Princeton, Duke, UPenn etc. Mukherjee added: “These initiatives are part of a comprehensive and massive investment towards digital learning that looks to help our employees become future-skilled and future proof. The strategy doesn’t stop here. 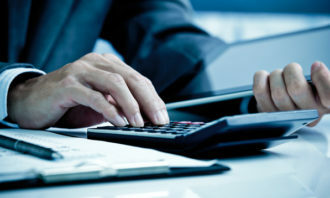 Studies worldwide have reaffirmed the numerous benefits of implementing work-life programmes – here are three organisations that s.. But with fewer than a third landing roles via job boards, recruiters need to re-think how they engage with fresh talent. ..